Do you ever feel like you’re not sure what to do next in a scene? Ever have a funny idea but don’t know how to best bring it to life? This workshop uses “game” technique to help you find the fun in every scene! Take the funny in your head and make it happen on stage! Find comedic patterns without feeling too robotic! Play a voice of reason without shutting down the fun! Support your teammates ideas with hilarious and active walk-ons and tags! All this, and even more concepts that end in an exclamation point! This 3 hour class will take place at the Fallout Theater (616 Lavaca St) on Saturday May 11th from 2pm-5pm. Tuition for this class is $30. This class is limited to 12 students, so reserve your spot now! Have questions? Please email classes@fallouttheater.com. Jake Regal is an actor and comedian who has been performing regularly at the Upright Citizens Brigade Theatre in Los Angeles since 2008. 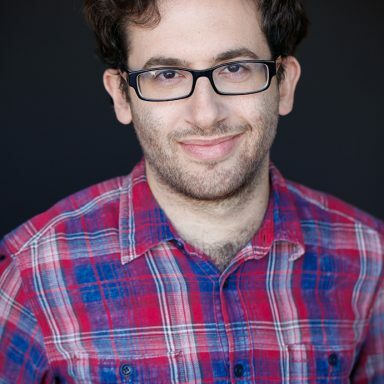 He has taught improv workshops in LA, New York (for the Del Close Marathon), and Austin, and has performed in many other cities as part of the UCB Touring Company. He has twice appeared at Out Of Bounds with his UCB team Cardinal Redbird. He has studied under many great teachers, including Matt Besser, Matt Walsh, and Ian Roberts. He’s also the guy who isn’t the main guy in those “Badda Book Badda Boom” commercials.